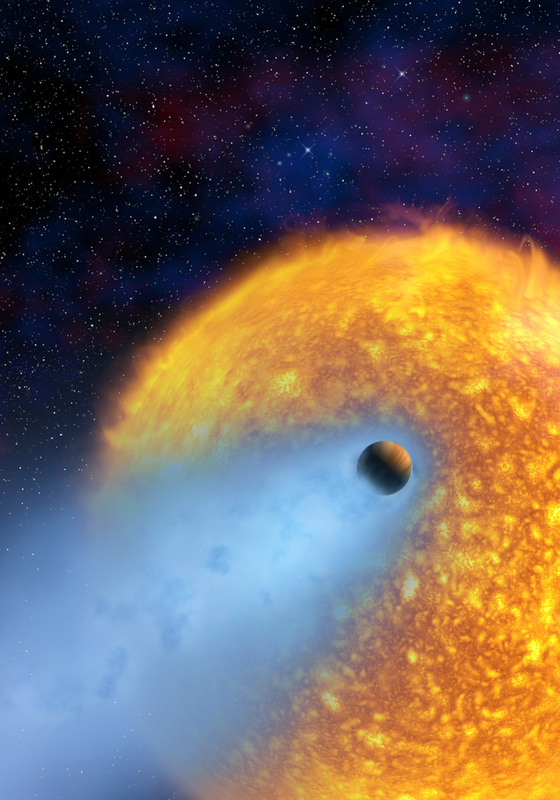 2 February 2004: The first detection of oxygen and carbon in the atmosphere of an extrasolar planet has been made. This observation has been obtained with the Hubble Space Telescope. 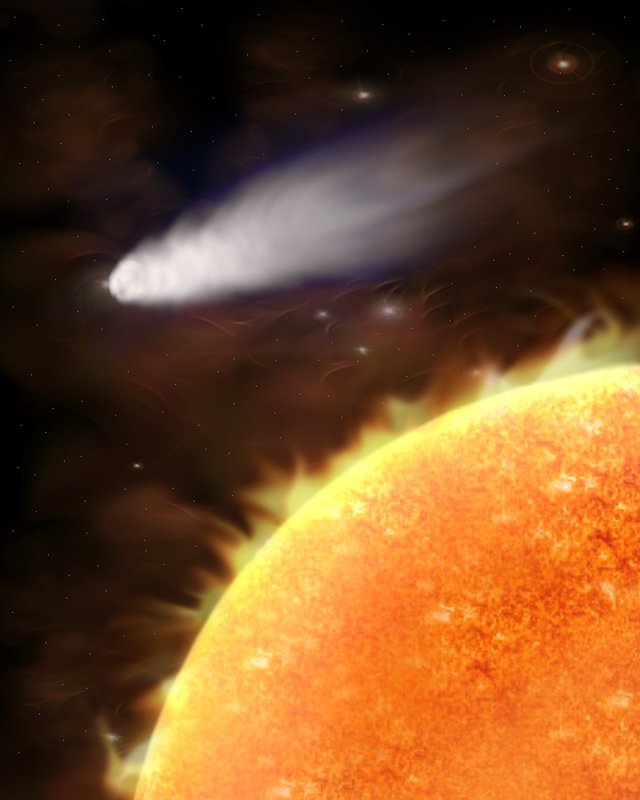 This discovery follow a previous one, one year ago, with the detection of an extended atmosphere of hydrogen which is evaporating. The atoms of oxygen and carbon are swept up from the lower atmosphere with the flow of the escaping atmospheric atomic hydrogen, like dust in a supersonic whirlwind. This observation allow to explain why hot Jupiters have orbits that are as brief as 3 days, but not shorter: perhaps the evaporation of the atmosphere plays a role in setting an inner boundary for orbits of hot Jupiters. ESA site (Press release, animations, etc...) (2 February 2004). (format ps et pdf; astro-ph/0401457). Article in Nature: An extended upper atmosphere around the extra-solar planet HD209458b, A. Vidal-Madjar A. Lecavelier des Étangs J.-M. Désert, G. Ballester, R. Ferlet, G. Hébrard, & M. Mayor, Nature, Vol. 422, p. 143-146, 13 Mars 2003 ). 3-D Artist movie (author: Jérémie Vidal-Madjar 3D Infographiste, paris). Download movie Avi (5 Mo). A view of the evaporating planet transit. 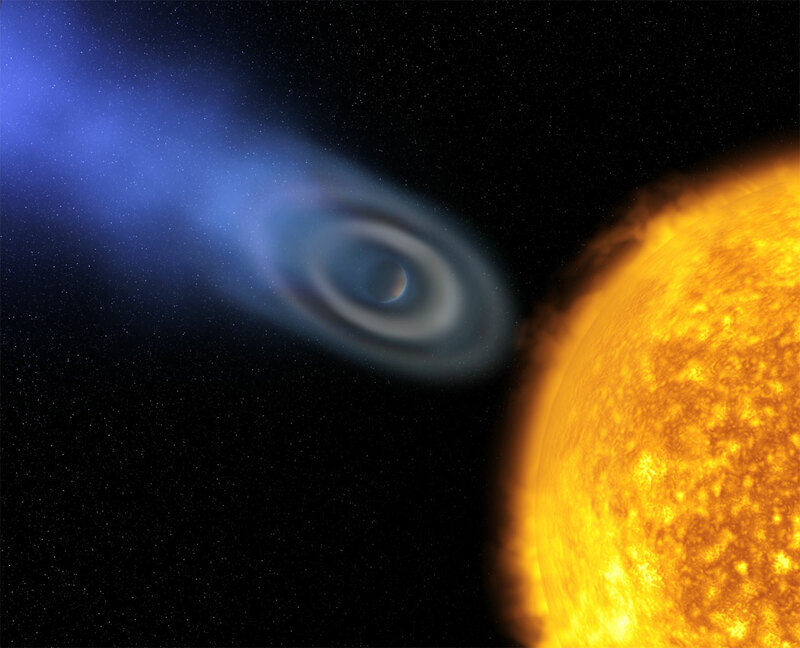 A computer simulation of the evaporating extra-solar planet HD209458b. 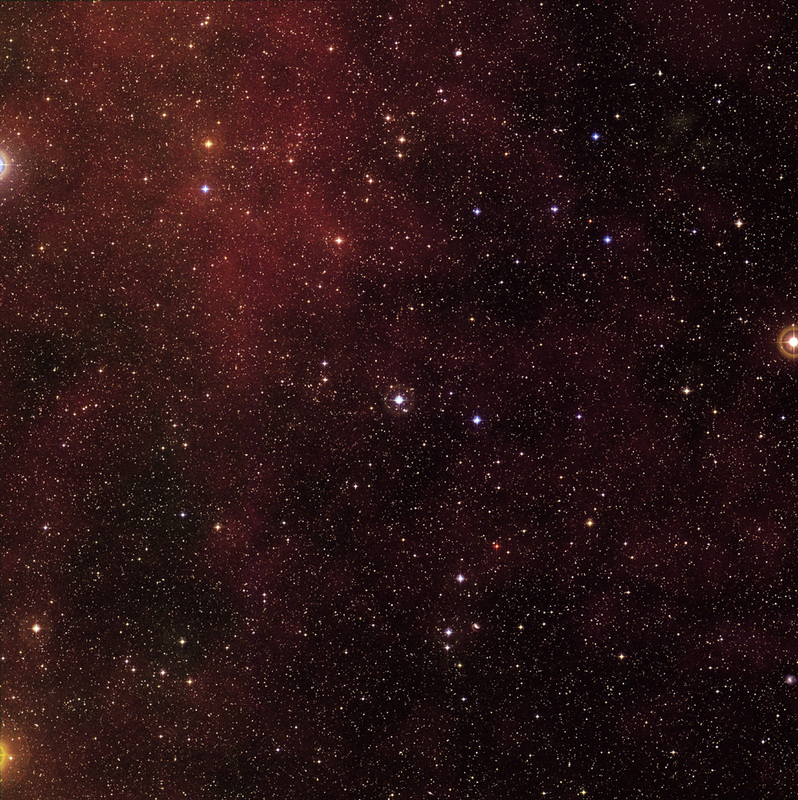 The Lyman alpha line of the star HD209458, as observed with the Hubble Space Telescope. The Lyman alpha flux of the star HD209458 as a function of time. Information related to HD209458 and its planet.